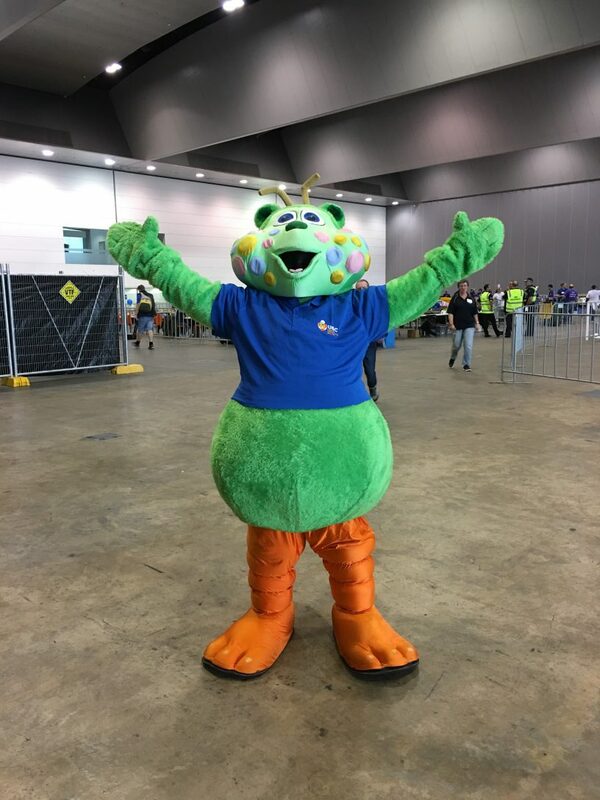 Our Bob Bunyip is a bright green mascot that loves being out and about putting a smile on everyone’s faces. A character that was created way back in the early 1980s, Bob Bunyip certainly gets people’s attention! Bob Bunyip got its name from the shilling idea that started when the Club began in 1942 (that’s where ‘Bob’ came from) and the other half came from the Australian folk legend that there is a mythical creature from Australian Aboriginal mythology, a creature of some sort that is said to be lurking in swamps, billabongs, creeks, riverbeds and waterholes. Well, our Bob Bunyip is a very loving mascot that was created to be used for publicity in parades, fetes, fairs, and most of our fundraising initiatives. One that started as an orange mascot back in early 1980s, Bob Bunyip was ‘reincarnated’ in June 1998 after our original mascot went missing. Whilst that case was handed to the X-files for still ongoing investigation, the task of recreating our UBC mascot was taken on by a group of students at Monash University who were keen to help non-profit organisation like us as part of their course work. Hence how our current Bob Bunyip came about. Green was the chosen colour as we wanted something that is bright that will be sure to stand out in the crowd, and will appeal to all ages. Our Bob Bunyip has been busy making his rounds at most of our fundraisers, the main one being the Good Friday Appeal. It was such a delight seeing the kids excitedly running up to Bob to give him a big hug and have the opportunity to be photographed with him. Bob Bunyip is available should you need his assistance for any of your fundraisers that contributes towards the Club. Call or email us at head office and we’d gladly assist.